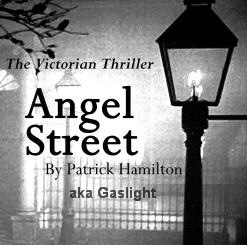 Putnam County Playhouse: Cast Chosen for "Angel Street"
Director Jack Randall Earles has announced the cast for the July production of Patrick Hamilton's Victorian thriller Angel Street. Playing the roles of Jack and Bella Manningham will be T.J. Tincher and Caroline Good. Tim Good will play Detective Rough. The ladies of the household staff will be played by Eleanor Howard and Ashlee Vitz. Rounding out the cast, stage manager Tyson Myrick will be playing a policeman. Angel Street is sponsored by Rossok & Co. Insurance and Pekin Insurance.